Our Faculty of Economic and Business Science is dedicated to the development of businesspersons, professionals, and entrepreneurial leaders with the goal of developing an ethical sense to build and run competitive, effective, human quality and responsible businesses in society. Our professionals are change agents, able to interact and influence positively with professionals from a wide range of diverse fields that contribute to the economic growth of Guatemala in business and institutions. We prepare professionals with a global strategic vision, leaders and innovators, who make companies more competitive and more human, with a deep sense of ethics, responsibility and reliability. To be a faculty recognized in Central America for its prestigious development of business professionals, capable of integrating and positively influencing impacts on society, and who seek personal fulfillment transcending the common good. Highly Competitive Entrepreneur, capable of providing solutions to Guatemala’s biggest economic and social problems in a global market that becomes more demanding everyday. Leadership Spirit, someone capable of individual work and also serves as team player, to gain knowledge and competencies necessary to successfully overcome every professional path level. Passion for Service, someone who strives for the highest qualitative standards of customer service. Developmental Awareness, someone committed to being socially responsible for generating sustainable projects of any scale. Visionary, someone who creates better and improved alternatives. Someone who is characterized by being proactive, dynamic, curious and a researcher. Someone who is not satisfied with first ideas, someone who is self-demanding, with a strong desire to get ahead. Knowledgeable of the latest trends that allow optimizing processes that are professionally in demand. Human Oriented, someone who promotes a cultural solidarity in a professional environment. High academic quality. All programs allow students to graduate in the stipulated time according to its study curriculum. International vision. Collaboration agreements with foreign universities, academic exchanges and international professors. Specialization in the Bachelor’s Degrees. Real professional experiences. We join high level lectures with working practices beginning in the first year of studies to ensure successful integration of academic and empirical, hands-on professional performance. High competitiveness in prestigious companies which allow the student to an introduction to a working environment. 95% of our graduates are in the workforce before graduation. Personalized education. Solid human grounding in a university atmosphere where there is a culture of solidarity. Ideal infrastructure and state-of-the-art technology equipment. In order to support our academic integrity, UNIS has undergone a process of continued accreditations that guarantee the standards of our educational programs, the professors profile, tools during the studies and major programs. 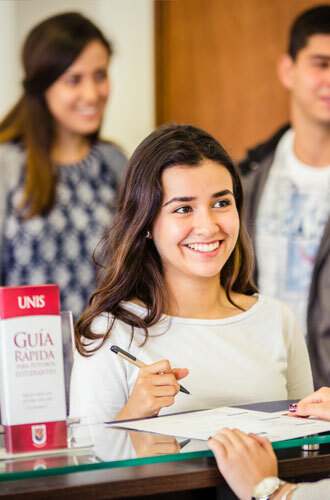 For the certification process, Universidad del Istmo entrusts ANECA to start the Certification on International Academic Quality since 2014. 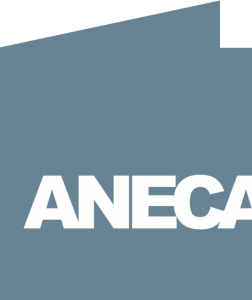 ANECA is a governmental foundation that has a goal provide external quality guarantee to the educational system of universities and contributes to its constant improvement. Also, it develops different programs to carry on its activities (evaluation, certification and accreditation) in order to incorporate our system in the European Higher Education Area.